This paper considers SIR and SIS epidemics among a population partitioned into households. This heterogeneity has important implications for the threshold behaviour of epidemics and optimal vaccination strategies. It is shown that taking into account household structures when modelling public health problems is valuable. 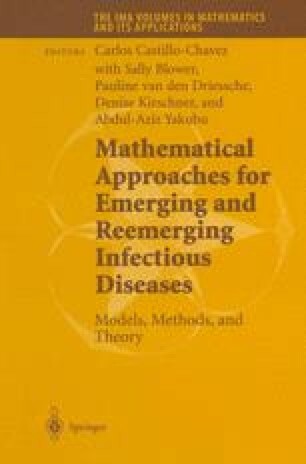 An overview of households models is given, including a determination of threshold parameters, the probability of a global epidemic and some new results on vaccination strategies for SIS households epidemics. Simulation and numerical studies are presented which exemplify the results discussed. This ressearch was supported in part by the UK Engineering and Physical Sciences Research Council, under research grant number GR/L56282.